It’s Monday. But don’t despair. The weekend may be gone but now you have another fascinating Fact Of The Day to enrich your mind. 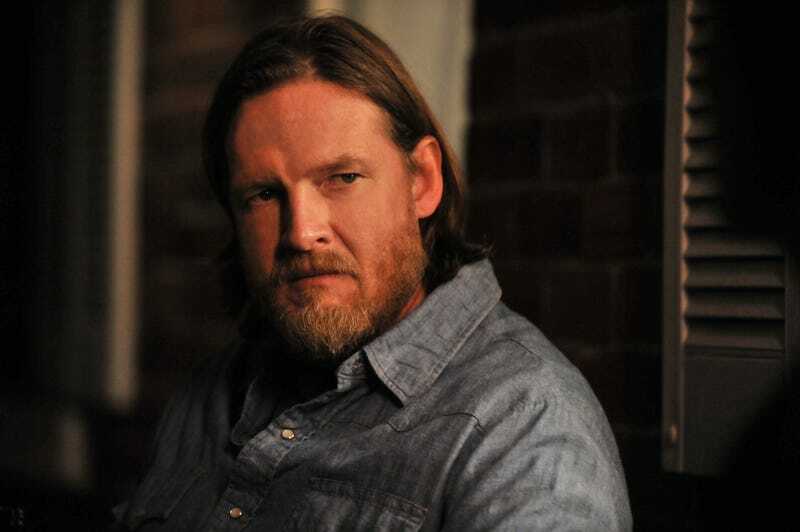 Did you know that Donal Logue was rumored to have the part of Jim Gordon on Gotham? The question of who would play Jim Gordan was one of the big ones as we got ready for this new take on the Batman story. And for a moment in mid January of 2014, it seemed that Sons Of Anarchy star Donal Logue had the job. Slashfilm.com reported that the job was offered to him on Jan 14th. They linked to a article from Latino Review which stated the same thing. For his part Donal denied it on his Twitter. Slash Film speculated that it might just be standard actor denial. However on the 17th it was reported that he was offered the job of Harvey Bullock. Latino Review issued an apology and retraction on the earlier story. For myself I am happy it went the way it did. Ben and Donal are both great in the parts they were cast in and frankly if Donal leaves I would lose a reason for watching. He steals the scene whenever he is on camera. I’ll close it off with a short vid from MTV News of Donal discussing working with Ben McKenzie on Gotham. I wish you all a pleasant day and i’ll see you all on the next Fact Of The Day. "Gotham" star Donal Logue tells us why Ben McKenzie helped convince him to do the show.